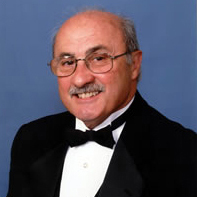 Tony D’Andrea was director of Bands at the University of Tennessee at Chattanooga from 1982-2005. Upon retirement, UTC honored him with the prestigious title of Professor Emeritus of Music. Professor D’Andrea’s responsibilities while Director of Bands included the Symphonic Band, Marching Band, Jazz Band and Pep Band. He also taught courses in Applied Saxophone, Band Management and Organization, Woodwind Methods, Advanced Conducting, Marching Band Techniques, and Teaching Instrumental Music in Secondary Schools. Professor D’ Andrea’s entire teaching career (1961-2005) has been in Tennessee. Prior to UTC, he was Director of Bands at the University of Tennessee at Martin. Additional responsibilities at UTM included courses in Applied Saxophone, Flute and Clarinet. Professor D’Andrea’s successful public school teaching was at Knoxville Doyle High School and Knoxville Gibbs High School. While in Knoxville, he was also Coordinator of Instrumental Music for the Knox County School System.Before becoming a Music Educator, D’ Andrea toured with the Tony Pastor Band, The Billy May Band, The Charlie Spivak Band, The Dean Hudson Band, The David Carroll Band and The Bernie Cummins Band playing lead Alto, Flute and clarinet. He also toured with and/or played backup to Buddy Holly, Bobby Darin, Paul Anka, James Brown, Patti Page, Pat Boone, Glen Campbell, The Everly Brothers, Sonny and Cher, Ray Charles, Tennessee Ernie Ford, Andy Williams, Liberace, The Andrews Sisters, The Three Stooges, Warren Covington, Les Elgart, Buddy Morrow, Bob Crosby, Ringling Brothers Barnum and Bailey Circus, Johnny Puleo and the Harmonica Rascals, Holiday on Ice World Premiere Performances (1961-1981) and others. D’ Andrea studied privately with Harvey Nevins of Bridgeport, Connecticut, Carmine Caruso of New York City, Sid Cooper of New York City, Eugene Steinquest of Cookeville, Tennessee and David Van Vactor of Knoxville, Tennessee.Professor D’ Andrea maintained an active profile in all aspects of music education throughout the state and region. His affiliation with professional music organizations is extensive and varied and includes the following: ETSBOA (past officer and Hall of Fame Recipient), WTSBOA (past officer), MTSBOA, CBDNA, MENC, TMEA, NBA, TBA, Phi Beta Mu (past president), Phi Mu Alpha (past faculty advisor), American Federation of Musicians, Local 80 (board member). D’ Andrea’s guest appearances as a Concert Band Conductor, Orchestra Conductor, Jazz Band Conductor, adjudicator, clinician and performer enabled him to be visible throughout the United States and Europe. His career in music has spanned 53 years and continues through his retirement. Walter H. McDaniel, Jr. graduated from Tennessee Technological University, Cookeville, Tennessee, in 1958 with a Bachelor of Science degree in Music Education. He received the Music Award for the class of 1958. He began graduate study at Northwestern University, summer of 1958, where he studied horn with Philip Farkas. He completed his Master of Science degree in Music Education at the University of Tennessee, Knoxville, Tennessee, in 1967.Mr. McDaniel was Band Director at Lebanon High School, Lebanon, Tennessee, from 1958 to 1962 where he was awarded “Most Outstanding Young Teacher in Wilson County.” After the first year the bands received superior ratings at all festivals. He was Director of Bands at Lenoir City High School, Lenoir City, Tennessee, from 1962 to 1968 where the bands received superior ratings at festivals and received First Place two years at the University of Tennessee Marching Band Contest.Mr. McDaniel was Assistant Director of Bands at the University of Tennessee, Knoxville, Tennessee, from 1968 to 1988 and was Associate Professor in the Music Education Department. His duties were to direct a concert band, co-direct the Pride of the Southland Marching Band, which performed at home and away games, bowl games, and five Presidential Inaugurations in Washington, D.C. Other duties were to direct and coordinate the Athletic Pep Bands which played at all home and tournament men’s and women’s basketball games. He taught Brass Instrument Methods and Marching Band Techniques to future band directors. In 1984, he charted formations and drills for the 800 piece marching band for the opening ceremony of the 1984 Olympics in Los Angeles, California. Mr. McDaniel has served as President of the East Tennessee School Band and Orchestra Association, Tennessee Bandmasters Association, and Tennessee Chapter of Phi Beta Mu. 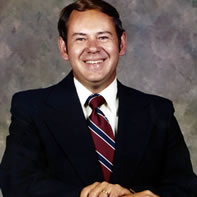 He was Vice President of the Tennessee Music Education Association and Secretary-Treasurer of the College Band Directors National Association, Southern Division, He served the National Band Association as Convention Coordinator at six conventions from 1975 to 1986. He also served as Convention Chairman for the Tennessee Music Educators Association in Knoxville both in 1975 and 1976.